‘Ooh! Aah! Ouch! Oh God’ seem to be the yells of the people suffering from arthritis that inflict too much of pain, especially in the areas of joints. Such screams truly reveal the unbearable aspect of pain that tends to be worst at nights ruining one’s sleep. If you are among these sufferers, I am sure you are tired of this miserable pain and are looking for a great natural dose to this pain. Well, if this is what you desire, you are reading the right article. 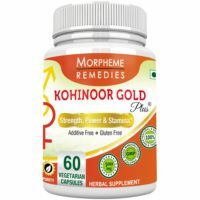 This natural dose is of water aerobics that have successfully relieved an array of arthritis patients across the globe. It is true that exercising for arthritis patients is not as easy as in case of normal people. However, these aerobic exercises are done in water, which are so much light and pleasing such that you will feel as if your body is turning to normal. Therefore, if you have given up your trials for relieving arthritis pain, it is the right time to stand up again like a firm mountain in front of this disabling pain, as you now will be armed with the most effective means of fighting arthritis by reading the article. So, why delay to read further? Just go ahead, read how water aerobics can change your life, and open the doors for this natural pain reliever! Water aerobics refer to the movements performed by immersing oneself partly or fully in water. In simple words, it is aqua therapy. Now, many of us are of the opinion that water aerobics involve fancy or heavy movements as in the case of professional swimmers. However, this is not for arthritis patients. In fact, water aerobics to relive arthritis aim at triggering the relaxing effects of water so that your body can restore a broad spectrum of movement lost due to the ailment. Above all, you need not be a swimmer at all, which means these exercises are also for those who do not know to swim although swimming is effective to relive arthritis. Have you immersed your stiff or sore knees and ankles in a water tub before? If yes, then you already know how soothing and relaxing it is! You feel much lighter as you began to rotate them slowly. This is mainly because your slow movements kindle the cardiovascular system that improves the circulation of blood to the affected areas of pain and stiffness to relieve arthritis pain. The same formula works for water aerobics too. In water aerobics, you tend to immerse almost over half of your body and move a bit quickly by doing some exercises. This boosts your cardiovascular system even more to increase the flow of blood in the joints to relieve pain and improve the range of motion. Apart from this, you also experience other benefits such as toned muscles, more flexibility, improved heart health, and reduced blood pressure that used to be high. In short, these exercises offer cushioning to your body due to which you tend to move effortlessly in water. Working best on hips as well as knees, water aerobics feature water buoyancy that finally discards the stress from the affected areas.Water exercises are more preferable to relieve arthritis pain in patients who cannot withstand the ground-based exercises such as jogging and cycling. 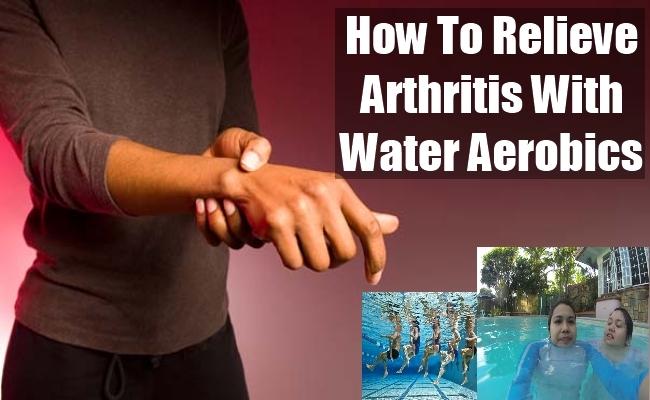 Perhaps, the best part of water aerobics is that the current exercises for arthritis are already modified with the help of several experts such as exercise physiologists, physical therapists, and rheumatologists. Water aerobics mostly involves exercises that make your big muscles to move, for example, the ones in your legs. Exercises include walking for 15 minutes to heal the entire body, rotating hands and necks, or cycling for targeting the lower portion of the body. In doing just one exercise, you need to move constantly for around 20 minutes to boost your heart rate. Your body might be immersed up to your waistline or chest in such a way that over 30 to 50 percent of the weight is levied on water along with a reduction in the force of gravity. A few patients prefer utilizing some aquatic items such as flotation belts just for safety although they are not vital for good results. However, the belts might be useful for folks in wheelchairs for boosting their muscles as well as the range of motion. Another useful flotation device is a noodle that acts as a support while exercising with the shoulders as well as arms. You held this device at over the waist level and then raise it above the head after getting into the water. In case you want to perform these water exercises on your own after learning from an expert, it is ideal to immerse yourself until the chest. As a suggestion, it is often effective to perform these exercises with music just like the ground-based dance aerobics. Before you start these exercises, kindly perform some warm up exercises for 10 minutes at least. You can choose a swimming pool or Jacuzzi to perform these refreshing and stress relieving exercises. In case of public pools, it is better to pick a pool filled with water and salt, not chlorine, as the latter is quite rough for the skin and do not show long-term positive effect. Further, ensure the temperature to be of 20 degrees Celsius. Initially, sit at the pool’s edge, immerse your feet, and slowly rotate your ankles in clockwise and anticlockwise direction. Now, step into the pool’s shallow end for walking followed by bending as well as straightening the knees, elbows, and arms. Normally, if you join a class or course for this exercise, the schedule considers two to three days in a week or all days of the week. The latter one is for those who are severely affected. Experts recommend spending some 20 minutes daily to experience the ideal results. Kindly consult with your doctor before performing any water exercise. Always perform these exercises with the guidance of an instructor. Along with aerobic exercises, follow the diet plan to obtain the best outcome.